The staff is really nice , location is really good, we live a window room, the scenery is nice outside. Affordable, clean, located centrally & friendly staff. What more can you ask for. Currently going through renovation which will make it even better. I stayed during a long layover and was easy to get there and easy to get to the airport. From Brussels Midi takes around 15 min by metro. Staff super friendly and the room was clean, spacious and well distributed. Actually the money was worth it and they could even charge a bit more without issues. 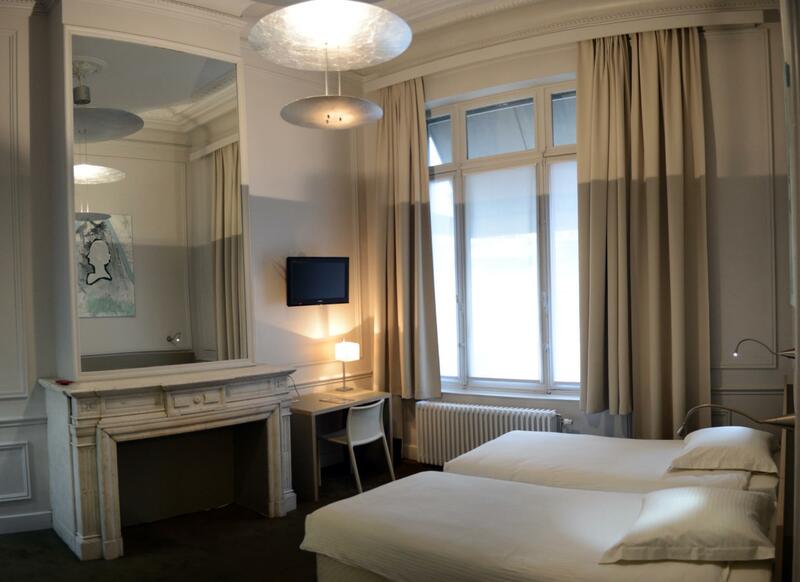 Hotel was situated about 10min walk from Brussel Central and a further 5min from Grand Palace. It's nearby the Royal Palace and Brussels Park. The room itself was nice and cosy. Single bed in the room I was in but it was enough for my stay. Showers are a bit small but adequate for what you need it for. Please note that the keys for the room were a bit bulky as its a door handle lock design compared to the swipe card system found in many others and the hot water did take a bit of time to heat up. Besides this I really like the design of the hotel. 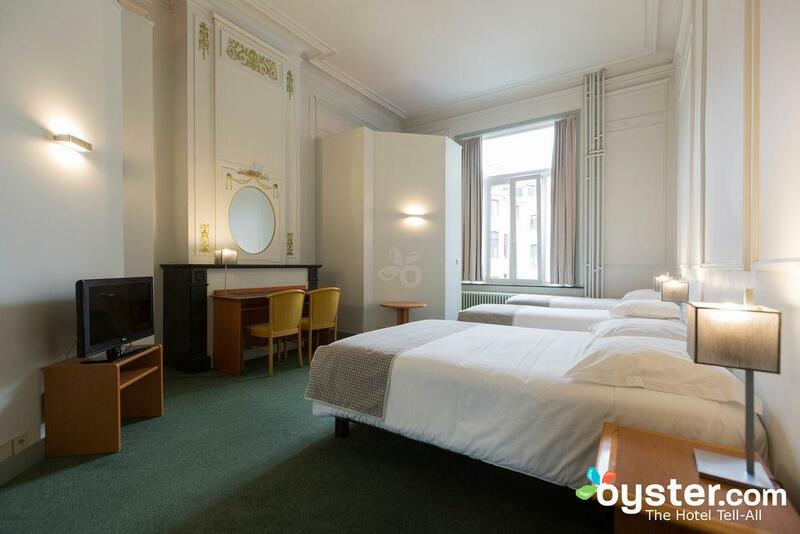 We had a room with triple beds. The bathroom was new but the room lacks certain basic amenities such as kettle, cups, and coffee sachets. Later I found out that their hotel description didn't specified such features, hence this is not their problem. The front office staffs were helpful. Room was clean. 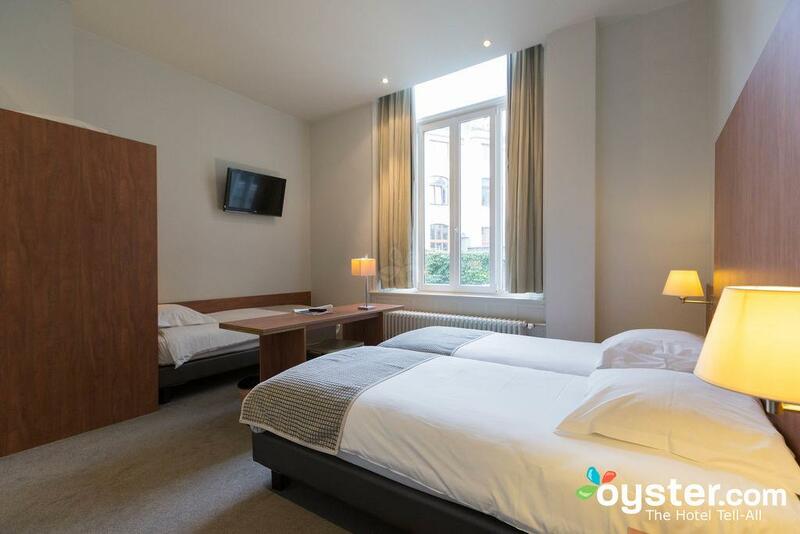 The location is around 13 minutes walking distance from Bruxelle Central Station. However, if you are travelling with luggages, it will take you more than 13 minutes - you will need to walk uphill on cobblestone roads. The hotel itself is nice, but please be aware that there are no lifts where we stayed. The staff were helpful and helped us to bring our luggages down when we checked out. It is not situated close to the Grand Palace. It is roughly 15 mins going from hotel (downhill) and roughly 22 minutes from Grand Palace back to hotel. After a long day, it is a bit of walk. If you are a light traveller and group traveller without children, definitely a good place to stay. Also, there are no aircon/fan in the room. Don’t think it will be good in summer. The receptionist was very blunt and quite rude. We had waited over 5 minutes to get into the property whilst the receptionist had gone for a smoke. He didn;'t even say sorry. The room had no AC so was very hot and stuffy. Good location. There is no Air conditioning or fan in the room. Reception told me to open my balcony door only to realize that we share the same balcony with neighbours and they had access to our rooms. Two hotel staff barged in our room without knocking and we were shocked. Disappointed. The hotel is very good value for money. It’s about 10-12 minutes walking distance from the city centre. It could have been better if they would have allowed us to check in early. The hotel does not have a kitchen so there is no cooked breakfast, however 9 euros for breakfast is slightly more. The hotel was nice and the room was practical, not very big( we were 3 in one room) though. 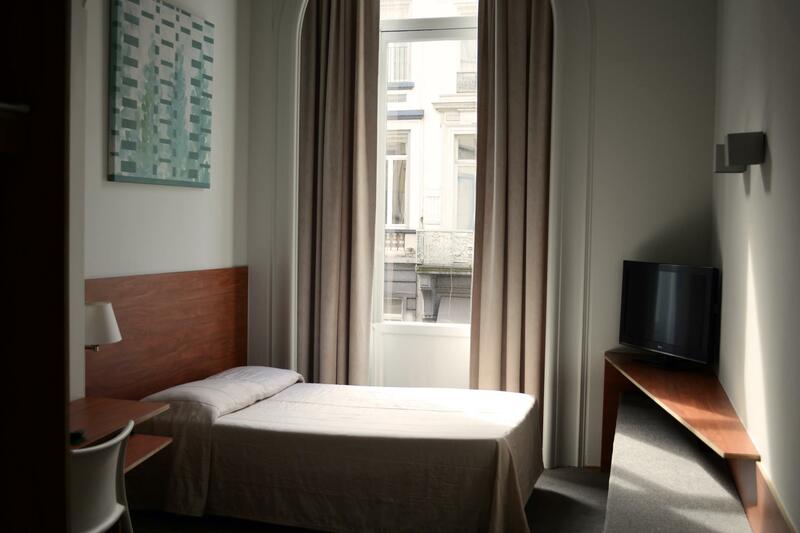 The important thing was that the room was cleaned everyday, the neighborhood was safe and very nice, the beds comfortable. The location is fine 1, 2 km from all major sightseeing. The hotel is good for the money. There are 2 building and i was on the other side where there is no reception area. One drawback is no elevator. Not a good place to stay. Room was like an oven. No ac no fan. Have to keep Windows open to cool the room. Description says, car park on site, but its not true. Hotel does not have private parking so offer to park on the street based on your ability to find free space. Good if you are lucky, if not enjoy doing circles around and looking for space. It's a bit of a walk from the metro station so it's not recommended to family with kids. The trash of the previous guests in the bathroom was not discarded. You can hear the other guests closing and opening their doors. Also when someone is walking in the room upstairs. 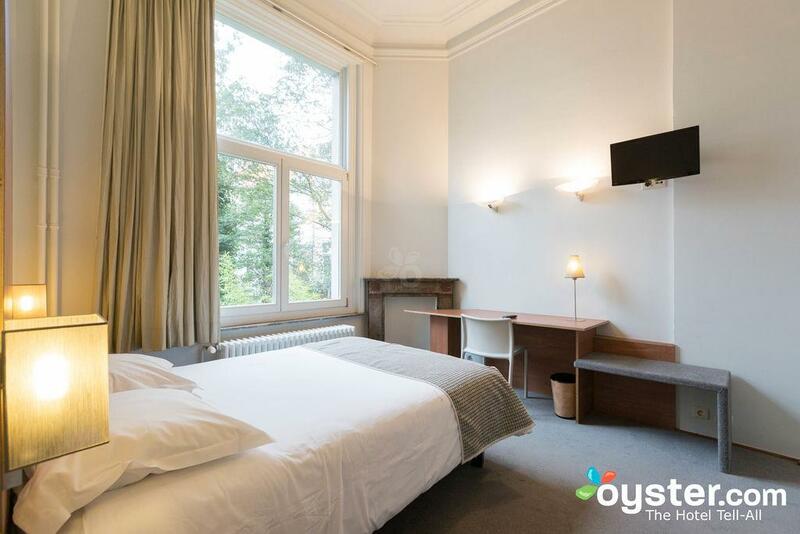 If you just need a room to sleep, and you are not a light sleeper, then you can book this. But if you are looking for total rest, no disruptions - don't book this hotel. Good value for money, great location, breakfast is really good and friendly staff. Rooms are not modernised but was clean and well maintained and will be better with and small fridge, microwave and a kettle! Value of money in terms of location, decent basic break fast and cleanliness. Dark side are terribly hot in summer time without any air conditioning even fans particularly for the rooms facing street side. U will not be able to keep the windows open since it is so noicy even at nite times as well.